As a Shopify store owner, have you ever found yourself in a position where you receive a healthy amount of traffic to your eCommerce platform, yet still suffer from low conversion rates when it comes to following up on initial visitor interest in your store and registering those all-important final sales? If so, Chrome Notifications may be just the ticket to give your conversion a little boost. Google has provided an effective tool to bring otherwise lost customers back and boost your sales totals in the form of “Chrome Notifications.” Simply put, a Chrome Notification is a “Push Notification” transmitted from a website to a subscriber through the Chrome web browser. This means that such push notifications can be utilized on desktop computers in addition to smartphones, allowing a site visitor to opt-in to receiving carefully designed notifications designed to pull them back to your store at a later date when they might have otherwise completely forgotten about it. While Chrome Notifications were first rolled out officially in Google Chrome 28 back in July 2013, the real effectiveness and versatility of the tool began in Chrome 42 with the release of the Push API and Notification API. These versatile APIs (which stands for “Application Programming Interface”) can be embedded into your Shopify store to produce a range of targeted recurring messages that can provide a new level of interactivity and customer retention. Here are 8 valuable practices to make the most out of Chrome Notifications for increasing conversion rate of your Shopify store. Like with email marketing, it only takes seconds for a consumer to make up his or her mind. With a quick glance of the headline, the consumer decides whether to open, delete or, even worse, unsubscribe from a brand’s Chrome Notifications. That being the case, it is essential that the consumer feels not only comfortable but excited to see what’s on the other end of a brand notification. Ending your message with a clear and compelling Call to Action is a great way to maximize your click-through rates. It ensures that subscribers at least make it as far as your Shopify store. Use the concept of scarcity, otherwise known as “Fear of Missing Out” (FOMO), to boost your notification click-rates and follow-through sales. Exemplified by mobile “gacha” games, announcements that induce feelings of FOMO are sure-fire ways to attract serious customers. Be careful, however, when using this powerful force. It’s better to generate demand and then exceeding customer expectations rather than to create hype around a product, only to later leave customers feeling disappointed and cheated. The dopamine thrill of FOMO is a powerful asset in gaining first-time customers, but there is no substitute for quality in terms of building a loyal and lasting customer base. While a top-notch headline attracts visitors, highly relevant and personalized messages seal the deal. It is essential, at the minimum, customers are connected with Chrome notifications. This means that they are receiving information on the products and offers that appeal to them, as opposed to generic blanket announcements. This also implies that as a marketer, you should capture the connections between the visitors and the products that he visited in your Shopify store. Spend time considering what is the core target audience of your store and tailor your notifications to them. Use your knowledge of existing customer habits and interactions with your shop to begin the process of tweaking your notifications to appeal to those most likely to buy your products and recommend them to their circle of friends. It’s important to use a segmentation tool to build out various segments of your audience and create different messages for each segment profile. Even if you master the art of inducing feelings of scarcity, first-time customers will quickly disappear if they are not offered value for their patronage. The most successful push notifications are never seen merely as a nuisance, but instead as a valuable informational vehicle to raise the standard of living of the consumer. Be sure to make a subscription to your Chrome Notifications feel worthwhile through the issuance of promotional offers like personalized exclusive coupons or reminders of limited time deals. Outside of promotional deals, you can consider educational content that may appeal to your audience. For example, fashion goers would welcome notices on seasonal looks in order to draw more fashion inspirations. Nothing screams annoying like a push-notification asking for persistent access to your web browser before you even have the chance to browse the site. Therefore, it’s important to carefully consider when might be the appropriate time to ask the user for permission to send push notifications. Make sure that you are targeting your most engaged users (such as those who spend at least one or two minutes browsing your site) and use smart copywriting techniques such as those already mentioned above to benefit from a higher opt-in rate. Time the opt-in trigger to appear after the user has had a chance to first evaluate the value of your site. A great way to do this would be to time the notification to immediately appear after the user has had a chance to read an article or browse the shop for a set period of time. Alternatively, it would be great to pair the timing of the opt-in trigger with a clear proposition of value such as exclusive deals for subscribers. Best practice for opt-in, clearly state what the visitor should expect from the brand. While it certainly pays not to be too quick out of the gate with the opt-in trigger, it’s also important not to let the user dwell on your site for too long before prompting him with the option to subscribe to your Chrome Notification. On another note, Chrome Notifications should be sent out to interested subscribers only at reasonable times of the day. Sending irrelevant or unimportant push notifications late at night or in the wee hours of the morning are a surefire way to lose subscribers and generate bad feelings towards your shop. Experiment to find the sweet spot in terms of customer engagement relative to the time of day to find what works best for you. All stores, products, and niche customer markets are unique, so it’s important to pick times that don’t interfere with important times in the days of your core subscriber base such as during work hours or valuable time spent with family. When it comes to the effectiveness of push notifications, not all product classes are created equal. While some industries such as financial services and transportation are blessed with high push notification engagement thanks to their naturally routine uses, eCommerce & Retail generally lags behind. With that said, there are still better and worse ways to manage the content and frequency of notifications. Transactional notifications, such as delivery updates or confirmations, that serves informative value are typically welcomed at a higher frequency. Whereas promotion message should be timed and spaced more strategically. Keep in mind that not all customers are interested in every new item that might be offered in your store, or that they might not like to be reminded multiple times a day even if they happen to be. Think of an intelligent way to use Chrome Notifications to impress subscribers and raise the reputation of your Shopify store. Taking advantage of a holiday or seasonal themes is one easy way to show that you’re making an effort to connect with customers in a regular way. If you happen to have been able to collect some personal information such as a birthday, consider how you can use that to surprise your customer in a good way. While it’s understandable if the root of your interest in Chrome Notifications is only to boost sales, consider other metrics as well to assist in your journey to perfectly tailoring your notifications to your target audience. Other indicators that might interest you include checkout page visits, rates of items added to cart, and push notification opt-in rates. That way, you can more easily diagnose what is working and what needs some more attention to reach optimal effectiveness. Use analytical tools like Google Analytics to regularly check your progress over time and track key indicators such as click-through rates. This is essential for understanding the strengths and weaknesses of your current range of Chrome Notifications and provides simple feedback regarding their effectiveness. To find success using Chrome Notifications, imagine that you’re nurturing a relationship with a real customer. For example, just as a kindly neighborhood librarian is always prepared to give a personalized book recommendation to frequent visitors, so should your Chrome Notifications work in tandem with your subscribers to bring products that excite them to their attention. Don’t lose sight of quality while in pursuit of quantity. By sending only hyper-targeted and personalized message, you can ensure that consumers continue to engage with your push notifications. Ultimately, Chrome Notifications should be utilized as just one tactic in your omnichannel marketing mix designed to capitalize on your web traffic, stay ahead of the competition and greatly improve customer retention. Automation such as personalized product recommendations, cart abandonment emails, cross, and upselling-automation and on-site messaging can have a great impact on your sales if used correctly. While it takes some practice for optimal usage, Chrome Notifications are also an incredibly important channel that Shopify store owners often overlook at their own peril. With the introduction of Chrome Notifications makes ContactPigeon’s marketing automation suite all the more complete and well-rounded, so please visit our features to view our range of services. 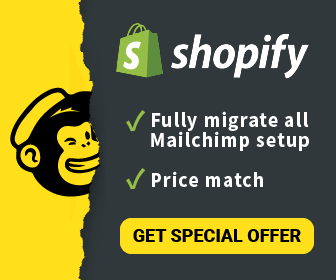 We’re here to help you turn the corner with your own Shopify store and master any exciting new tools, such as Chrome Notifications, so that can achieve your goals and build the customer base you’ve dreamed about.